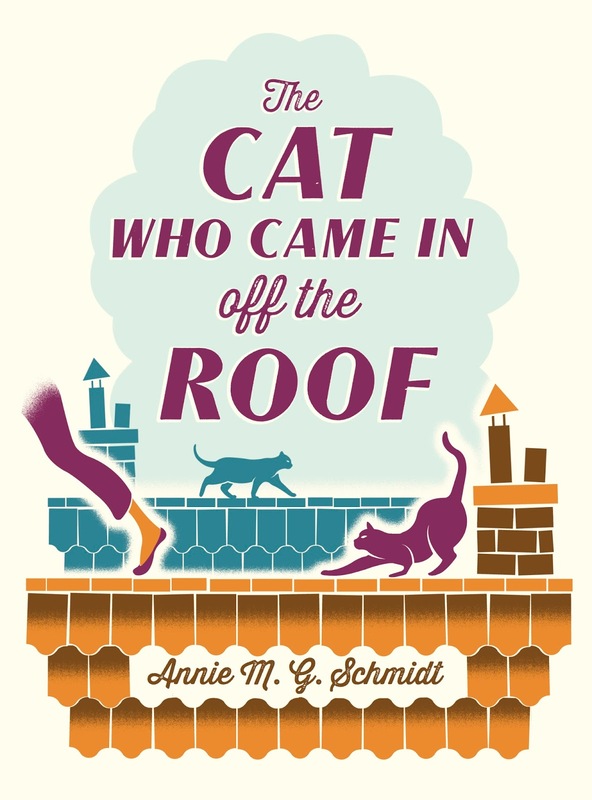 A couple of weeks ago I shared with you my review of The Cat Who Came in off the Roof by Annie M. G. Schmidt, a lovely children's story now available in English translation from the original Dutch. I really enjoyed the tale of Tibble, the reporter who rescues Minou, a young woman who he soon discovers used to be a cat and can help him by communicating with the other cats, learning the local goings on and helping him with his articles. Today I'm taking part in a blog tour for the book, and I have a Q&A with the translator, David Colmer, to share with you. I studied languages at university, even including a bit of Dutch, and so I find it fascinating to read about the translation process. Enjoy! How did Annie go on to capture the hearts of the Dutch people and become known as the Queen of Dutch children’s literature? She was a great stylist with a wonderful gift for humour, but she was also a rebel, who stood up against repressive and conservative forces. She believed firmly that children have a right to be children and to express themselves and this runs through all her work, but at the same time she never romanticised children. Are there challenges translating fiction? How do you approach a project like this? My goal when translating is to produce an English book that is as much like the original as possible and the most important thing is what some people call “voice”, a concept that involves tone, humour etc. Instead of trying to impose my own idea of style, I try to reproduce the author’s own strengths. This requires producing a number of careful drafts with reference to the original, before doing a final run through just looking at the English. Annie M.G. Schmidt is an author who has great flow, so her sentences should be light and easy to read. She’s also very funny, and getting the jokes in was part of the challenge. It’s not always as easy as you’d think, because there are sometimes suprising differences between languages. For instance, just as we have the word “hand” for people and “paw” for animals, Dutch has many more words that express the same distinction. Sometimes the joke involves using the wrong word, but we only have one word in English. Then you have to find a way to convey the same thing. Why do you think The Cat Who Came in Off the Roof became her most popular children's book? I wouldn’t say it is her most popular children’s book. 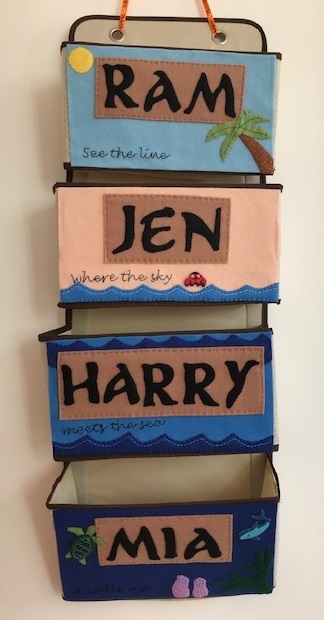 It is one of the most popular ones and it’s the most popular one for children of this age group, I’d guess because it’s so perfectly conceived and executed, and because the basic premise is simple yet brilliant. Probably her most popular books are the “Jip and Janneke” stories for kids of about 3-5 and “Tow-Truck Pluck” for 4+, both done with illustrator Fiep Westendorp. 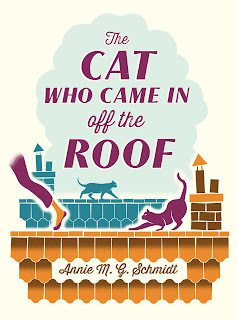 Schmidt actually considered this book a case of unconscious self-plagiarism, because years earlier she’d written a series of books for younger children with a character who had previously been a cat and forgot all about it when she wrote THE CAT. (I think those books were out of print.) Later she wouldn’t allow the earlier series (called “Ibbeltje”) to be republished, but finally relented and allowed them to be published too. Annie was a prolific writer and didn't just write children's books. Could you tell us more about her other work i.e. TV and radio? She also wrote musicals, poetry for adults and lots of songs. I think her only prose for adults was a childhood memoir she wrote fairly late in life. Probably her most successful musical TV series was “Yes, sister. No, sister.” which had the whole of the Netherlands grinding to a standstill when it was broadcast in the late sixties. Much like the World Cup now. Her musical collaborator was Harry Bannink and the songs are still fresh and vivid today, and very funny still. In the series they used lots of popular genres in a kind of warm satire, from the Beatles to Russian folk music with everything in between. She also wrote serious songs about issues like women’s rights. Are there any Annie M. G. Schmidt inspired projects/works taking place in the Netherlands at the moment? There almost always are Annie projects on the go! At the moment the most important is a film version of “Wiplala” that’s in production, financed by crowd funding, which shows how popular Annie still is. Almost all of Annie’s children’s books have been filmed or adapted, some several times. On the Annie M. G. Schmidt website it says 'almost everyone in the Netherlands is able to recite at least a line or two from one of her songs or poems.' What is the most memorable or stands out as favourite for you? Perhaps one of the most famous passages in her children’s poetry is the start of the poem called “Nice and Naughty” in my translation, which also is indicative of her attitude to and identification with children. I’ve had enough! I’m not a lamb! I don’t want to say hello! until I’m sure they’ve gone away! This translation is actually a little bit free, so it does differ a bit from the original! If a new film was to be made based on the book who would you like to play the main characters Minou and Tibble? Long before she got all witchy as Melisandre in “Game of Thrones”, Carice van Houten put in a fabulous performance as Minou in the Dutch film of the book, with the support of Dutch stand-up comedian Theo Maassen as an excellent Tibble. I’m not sure who should take on the roles for a new English version, but my daughter suggests Alexandra Breckenridge and David Tennant. In the meantime the existing film is well worth watching, although they should, of course, update the subtitles to match my translation.